With more than 200 climbing routes this area is an eldorado for climbers. Solid granite with excellent friction makes climbing here an unforgettable adventure. Several of the routes have recently been equipped with stainless steel bolts and the belay stances have bolted chain protection. For inexperienced climbers we recommend the new via ferrata. A climbing guide prepared by Hans Weninger has been issued by Panico Verlag, Germany. More information about rock climbing in Valle is available at www.kletterninnorwegen.de. The site includes updates on the climbing guide. Updates are also available at the tourist office in Valle. Please note that climbing in Valle is at your own risk and previous experience is required. Remember to bring your own gear as there are no organized climbing activities in this area. The ascent of the impressive southeastern wall of Mt. Straumsfjellet would normally require advanced climbing skills. However, on a Via Ferrata you are secured to the rock by means of a solid steel cable going all the way to the top. The higher you get, the Mt. 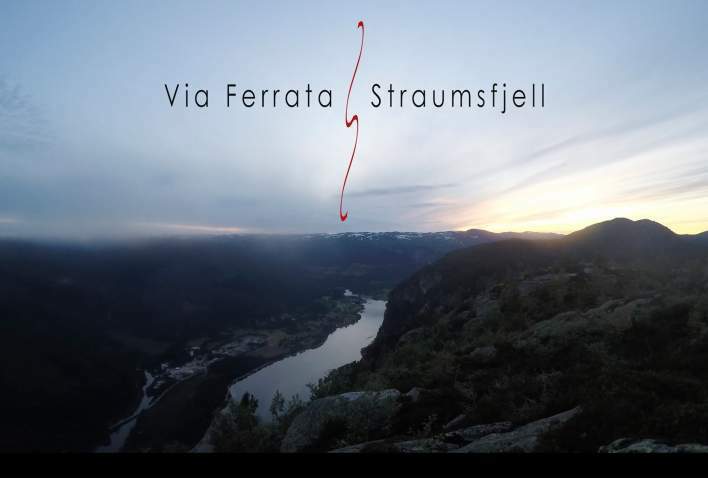 Straumsfjellet Via Ferrata gets steeper, more airy and increasingly more spectacular. Just below the summit there is even a short section of overhanging rock, making strength and stamina an advantage, physically as well as mentally. The reward when you reach more level ground, with the Setesdal valley far below, is a spectacular view.